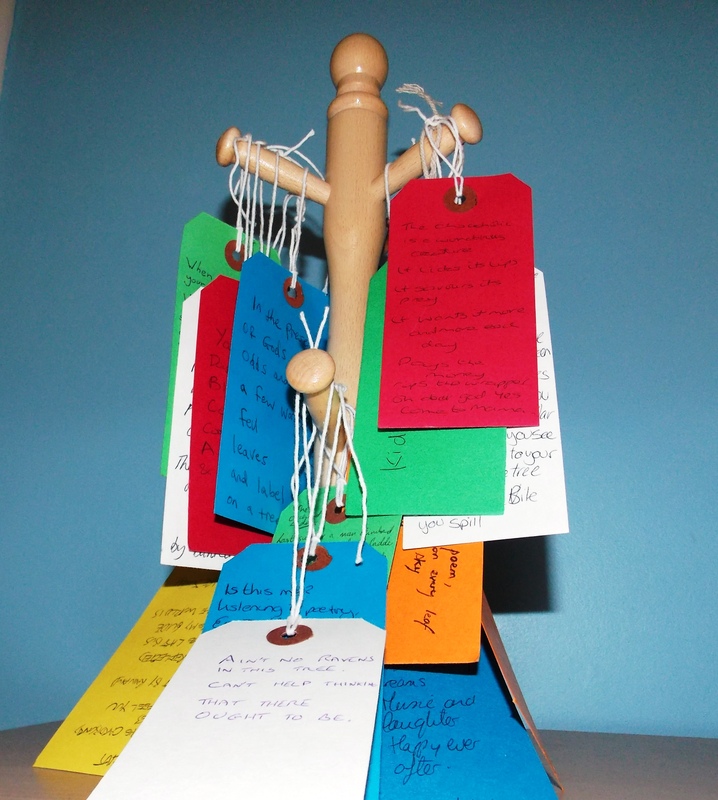 One Day Works will host a series of one day experiments throughout Medway during the Fuse Festival and its build up. From urban high streets to country villages, the project will showcase ten of Medway’s finest creative talents across a range of art forms. Along with the The Word Play Wagon, the works include an epic poem, sculptures made from found objects, archival collections, insect inspired costumes, drawings made from thread, an acoustic live music gig and a magic lantern performance. 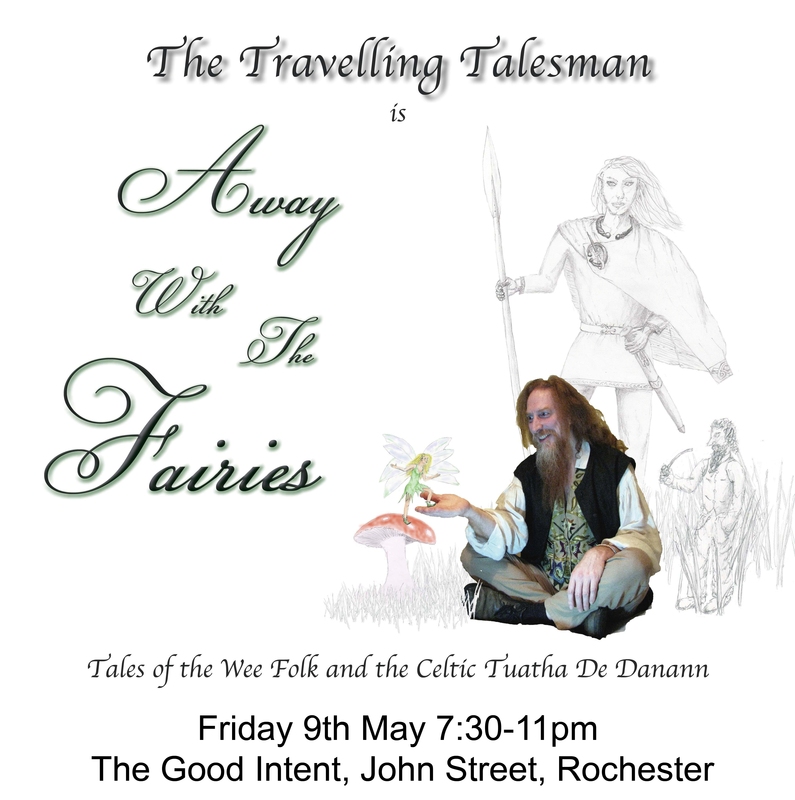 The Rochester Literature Festival will play host to the Travelling Talesman at the Good Intent, John Street, Rochester on Friday, May 9th. You might guess from his name that The Travelling Talesman is a storyteller who enjoys taking his stories to new places. With twenty years experience telling myths, legends and folktales, last year he was nominated for “Outstanding Male” in the British Awards For Storytelling Excellence. 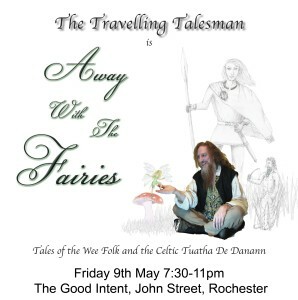 In Away with the Fairies, expect a fun evening of gripping yarns as The Talesman recounts stories of Norse Gods, Celtic mysteries, clever girls and Dragon Slayers, medieval mayhem, giants, goblins and Halloween horrors. Originally specialising in Northern European tales, his stories are now drawn from all over the world. The Travelling Talesman has toured the country from Penzance to York, for feasts, festivals and fun since the early nineties. Entry is free, although donations would be welcomed to cover our costs. Doors open at 7pm for a 7.30pm start. For information on other Rochester Literature Festival events, including their 2014 festival, Mad Bad & Dangerous to Know, please visit www.rochesterlitfest.com or call 07904 643770. A supporters’ club, ‘Friends of the Rochester Literature Festival’ has been set up and details of that can also be found on the website. The Rochester Literature Festival (RLF) was formed in May 2011 as an information sharer, and held its inaugural event, The Garden Poetry Party in July 2012. Three more audience building events ‘Unifinished’, the ‘Literary Potlatch’ and another Garden Party followed in October 2012, March 2013 and July 2013 respectively, before the first main festival ‘OtherWorlds, Other Voices’ took place in October 2013. The RLF is a voluntary group and currently receives no public funding, relying solely on the generosity of its performers, audiences, personal donations and in kind help. We have just updated our boot fairs in Medway page with information on when they start in 2014. We have updated the page with information for Greenfield’s and Westmoor boot fairs and will add information on the Hempstead one as and when we can get it! Take a look at the updated page here! Jools Holland is a musician and, amongst other things, is known for presenting the TV show “Later…With Jools Holland”. He lives in the village of Cooling. Whilst presenting the TV show, The Tube, on live TV in the 80s, he uttered the phrase “be there, or be an ungroovey fucker”. You can browse and buy music by Jools Holland here. Joe Pasquale is a comedian, actor and TV presenter and is known to live in Higham. He was crowned “King of the Jungle”. He also has a squeaky voice. You can buy DVDs and Blu Rays featuring Joe Pasquale here. 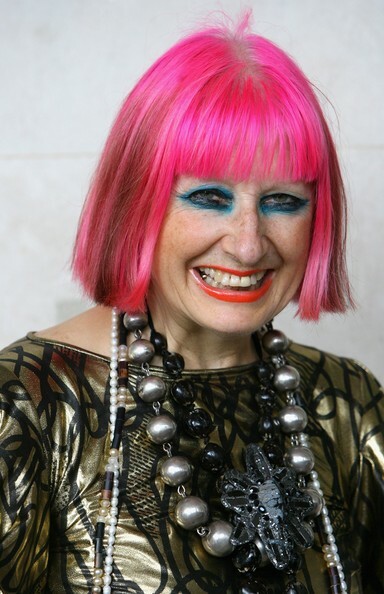 Zandra Rhodes was born in Chatham and studied at the Medway College of Art. She comes up with fashion such as this. You can buy products by Zandra Rhodes here. Kelly Brook was born and raised in Rochester where she went to the Thomas Aveling school. She has been on shows such as The Big Breakfast as you can see here. You can browse and buy Kelly Brook’s merchandise, such as calendars and DVDs, here. Lee Ryan was born in Chatham and is a former member of the boyband, Blue. 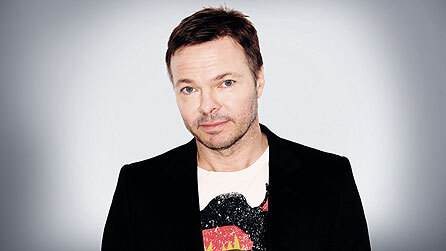 DJ Pete Tong was born in Dartford and went to King’s School in Rochester. He is probably most famous for the phrase “It’s all gone Pete Tong”. You can browse and buy music by Pete Tong here. 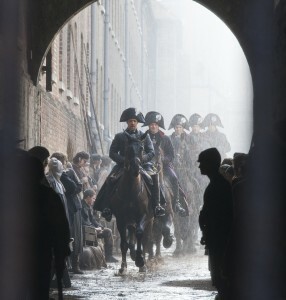 You can browse books and DVDs of Charles Dickens’ work here.